Description This Savannah, Georgia hotel has non-smoking guest rooms and an on-site restaurant. 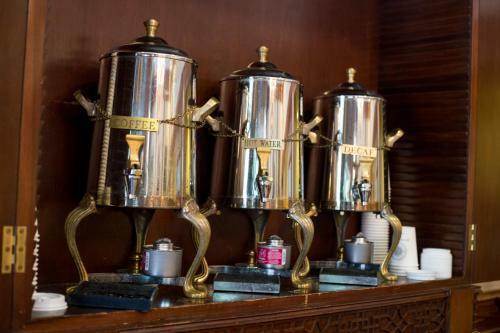 Afternoon wine service and rooms with unique decor and views of the Savannah River are upscale perks at the non-smoking River Street Inn. 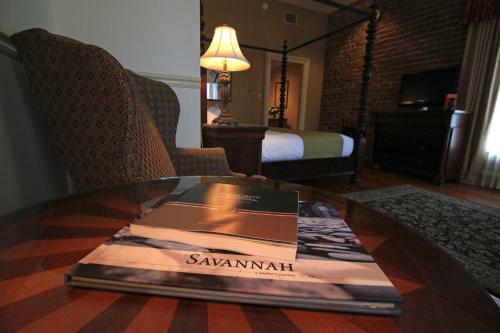 The 86 non-smoking rooms at this low-rise historic hotel feature unique decor from four-poster beds to canopy beds hardwood floors to oriental rugs and French balconies with grand windows and views of the Savannah River. All rooms include cable TVs with HBO a free daily newspaper and a nightly turn-down service with complimentary homemade chocolates. Guests can dine at the on-site restaurants or top off a day in historic Savannah with the daily wine and hors d'oeuvres reception Monday through Saturday. There's also an on-site cardio fitness room for guests who need to fit in a workout. 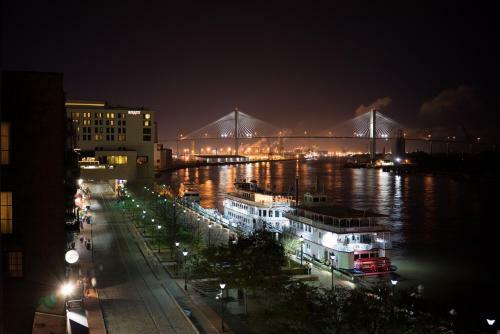 The hotel is located in downtown Savannah overlooking the city's namesake river surrounded by historic architecture and famous fountains. 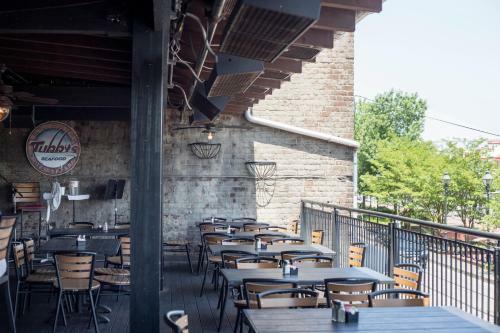 Restaurants and quaint shops on the city's Riverfront are within a five-minute walk. Savannah College of Art and Design is less than a mile away. Savannah/Hilton Head International Airport is about 10 miles away. Hunter Army Airfield is about seven miles away. Tybee Island's popular beaches are 20 miles away. 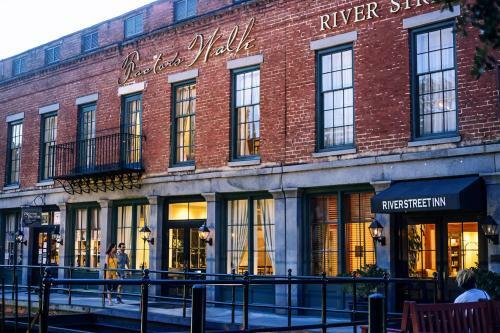 Add River Street Inn to your free online travel itinerary.